So….what is all the Hype about? The team at EntrepreneursGateway.com simply had to review Kinsta WordPress Web Hosting (not only because we use it) but to test it to the max to see if it really is our number one choice! How reliable are they as a web hosting provider? What features do you get and how easy is it to use? Well fear not! If you are looking for a WordPress web hosting solution, then you MUST read this review! Kinsta Platform is flexible, fast, secure, friendly and scalable which is custom built for WordPress. Kinsta really does have a plan for everyone’s needs and is the first hosting provider that is powered by the Google Cloud Platform. Kinsta offers various pricing plans and features ranging from $30USD per month to $600 USD per month, with the option to pay annually and get 2 months for free. Kinsta has taken it to the next level with developing their own custom solution dashboard which is easier to use and enables you easy access to the features Kinsta offer such as important details/metrics. 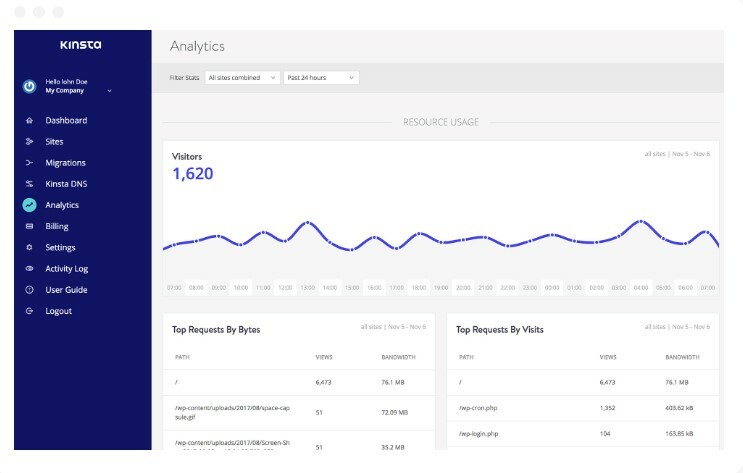 It’s by far the most robust analytics platform you will see from any web host. Kinsta offers Pro-active WordPress experts and our experience contacting them was excellent with an average response time of 3 – 5 minutes. Here at Entrepreneurs Gateway, we moved over to Kinsta WordPress hosting five months ago. We want to give you our honest assessment of Kinsta’s platform. After moving across, we want to answer the question that everyone has been saying….and that is that Kinsta Web Hosting really is fantastic. Since launching Entrepreneurs Gateway, it’s true to say that we have had our fair share of hosting experiences. At first, we didn’t really pay a lot of attention to our hosting setup because traffic to our site was low and we, therefore, didn’t see the value of investing too much on hosting. As our site developed and we had more traffic coming to our site, it’s clear to say our needs changed. We needed to rethink about how our site was hosted; how best it could be optimized, and also, what we could do to ensure our website visitors had a seamless experience. Performance: How fast will your website load using Kinsta Hosting and what measures have been put into place to ensure your website is available to your customer/ prospects without any downtime? 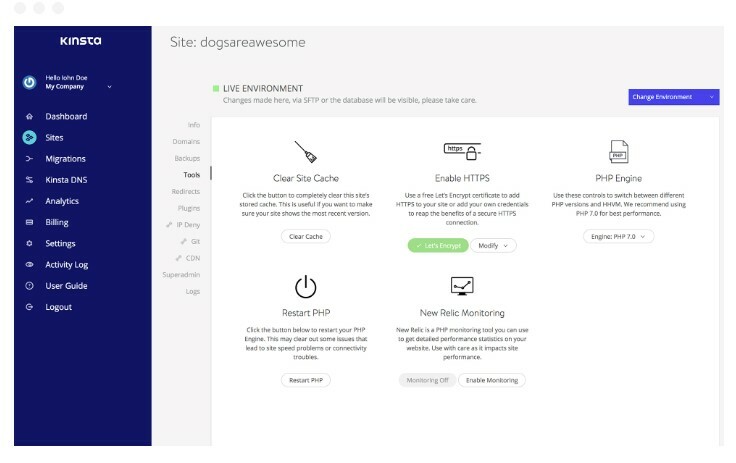 Usability – Does Kinsta Hosting offer everything necessary when building your website? Support: Does Kinsta Hosting offer quick customer support solutions and help and can you count on them when it matters most? 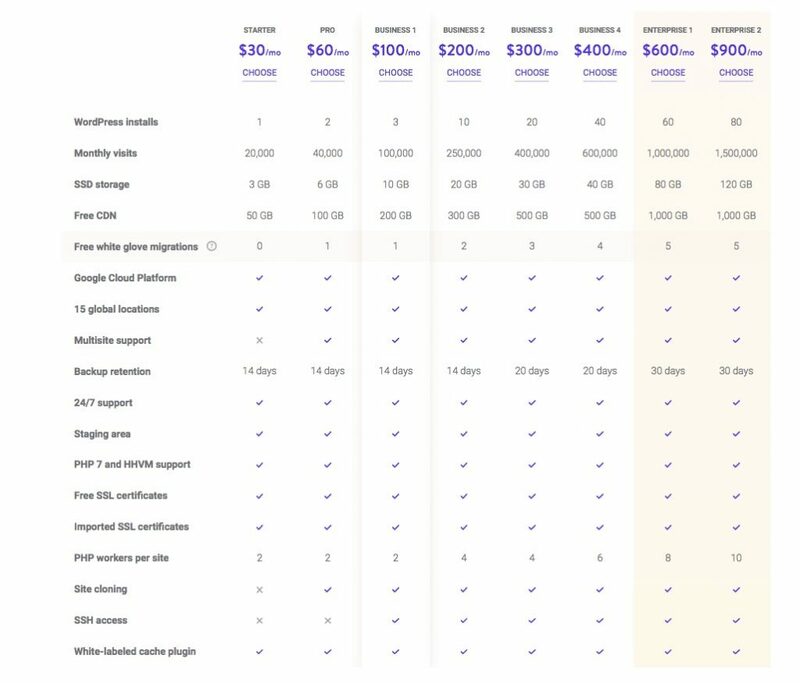 Cost – Does Kinsta Hosting offer the best pricing in the marketplace? AND more importantly, what deals are available that can help you save money? What and who is Kinsta? Founded in 2013 by Mark Gavalda, a WordPress developer, and programmer, Kinsta has rapidly grown with offices in London, Budapest, and Los Angeles and is already outdoing the competition when it comes to high-end performance managed WordPress hosting; they are no longer seen as the newcomer. For 3 years running, Kinsta has attained ‘top-tier’ status from Review Signal (WordPress Hosting Performance Benchmarking System), as well as being named the most reliable Host Company for 2016. It’s important to point out that every WordPress hosting provider do things differently, which is why it’s important we should highlight its key unique features. Kinsta approaches things slightly differently compared with other hosts. Check out the Definitive Review & Tutorial for #Kinsta #Webhosting and take action to get a webhosting provider that you can trust! Google servers that allow traffic spikes to be automatically scaled. 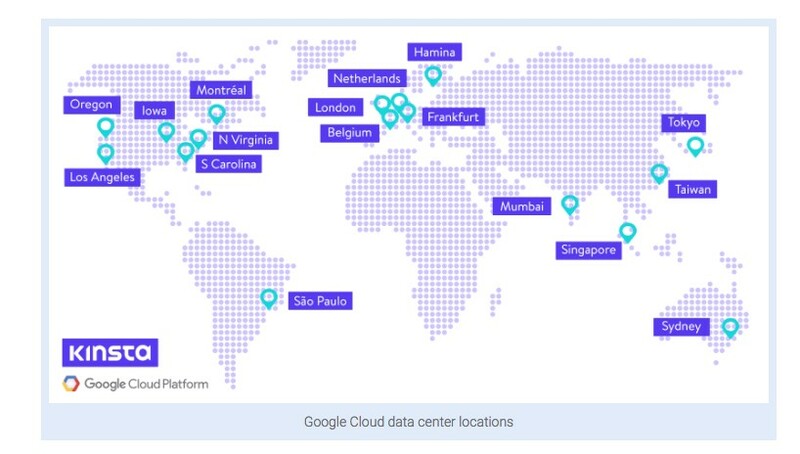 As Kinsta uses the Google Cloud Platform, you can be assured that they have a fantastic reputation for reliability and Uptime. For performance, Kinsta customers have stated that load times have decreased by up to 50% after they have migrated to the Google Cloud. The example above loads in under 400ms and its performance grade is 100. Wow, that’s fast! This process speeds up your website. If you have lots of images and files loading from just one server, this will slow everything down, however using a CDN enables these files and images to be copied all over the world. For example, if someone in Australia visited your website and wanted to download a file, they would download this file from a server that was closest to them in their country which in turn ensures a faster download time. Recently partnered with the company KeyCDN, Kinsta is able to offer a CDN integration in its platform, which can be accessed from the users’ dashboard. Currently, KeyCDN has 29 servers across the world. For a novice, web hosting may seem very confusing to begin with, especially when they offer additional features. A hosting provider is simply the road for your website; everything else is extra. Making sure the setup and maintenance of your site is easy to use is an essential factor to consider. We know your time is precious and let’s face it, you don’t want to be spending months learning yet another new piece of software! Some web host providers use cPanel, and some develop their own dashboard. 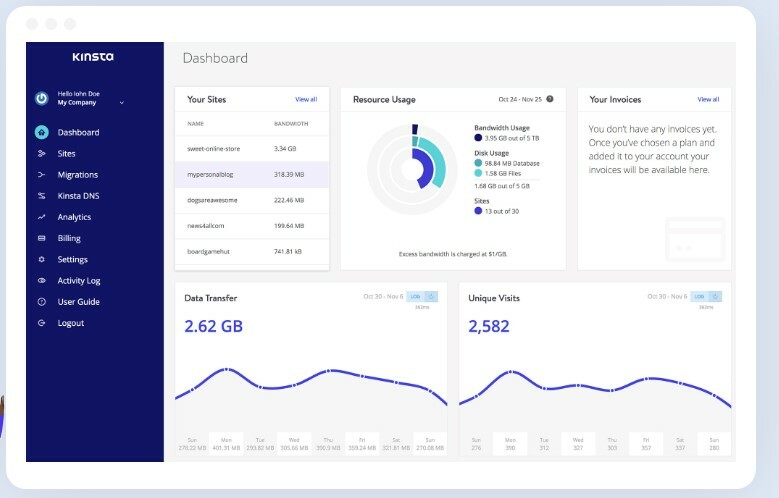 Some of these dashboards are very simple with limited options; however, Kinsta has taken it to the next level with developing their own custom solution dashboard which is easier to use and enables you easy access to the features Kinsta offer such as important details/metrics. It’s by far the most robust analytics platform you will see from any web host. The Dashboard is known as “MyKinsta” which is the Control Centre for all of your websites. Here you can track bandwidth, look at visitor statistics as well as create SSL Certificates. All the tools you need are in one location. Setting up your account is very simple with Kinsta. Once you have signed up for an account, you will receive an email confirming your account. You will need to login to the dashboard once your email has been confirmed and select the plan that you want. With its one-click installer, you can install a WordPress site and launch it without any hassle. 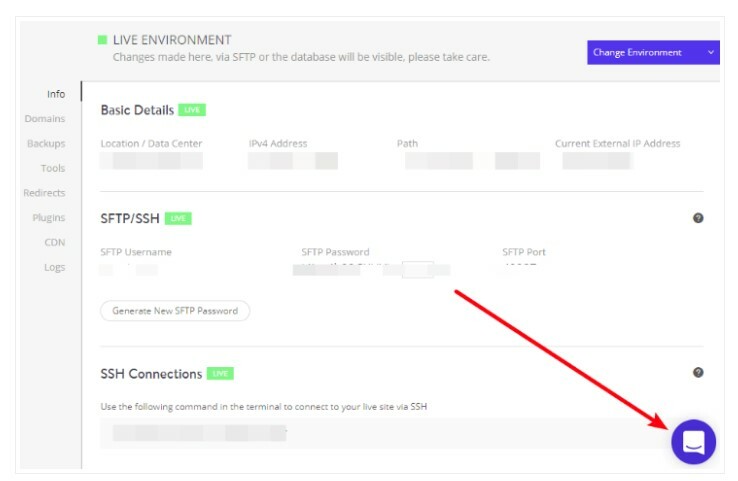 This is an additional security layer that Kinsta offers with your account. This is vital when protecting your account from hackers. Should someone decide to hack your website, they could delete your entire website. We recommend that whatever host provider you choose, ensure that this is a feature they provide. Kinsta offers a simple solution for you to work with multiple people. You can simply add additional users. At present, though all users are classed as “admin,” however, they are working on different access levels. Below is a screenshot of the site management screen list. If you have a lot of websites, there’s a search facility to speed things up. The Kinsta Dashboard enables you to track that all important data on all of your sites. This includes visitors, your bandwidth usage, the response times, desktop versus mobile, and much more. 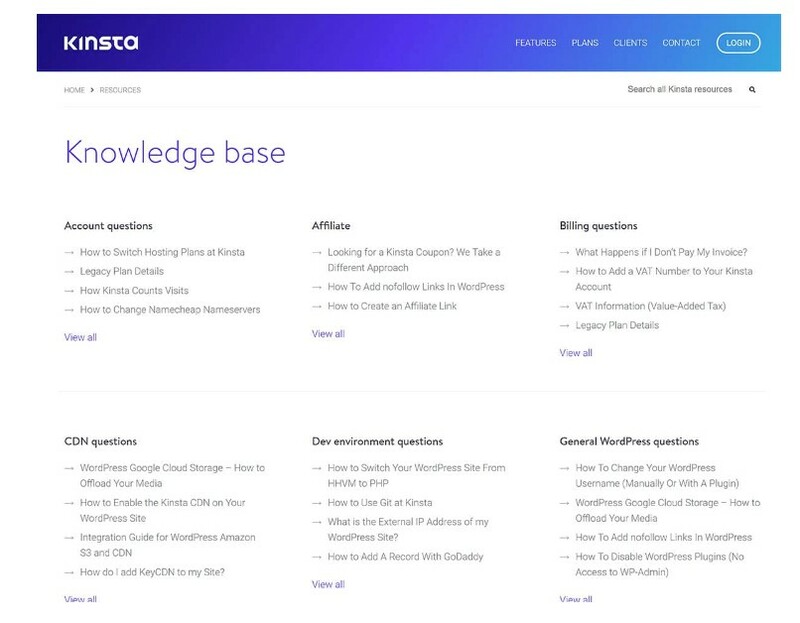 There is also a link to the ‘Kinsta Knowledge Base.’ There you will find lots of articles. It’s a great place to start if you are unsure of anything before you open up a support ticket. MyKinsta enables you to manage all of your sites with simplicity and precision and offers Free SSL certificates, using LetsEncrypt, on all of their plans. It’s very simple to set up, and you can be running over HTTPS within seconds. This feature can be found within your dashboard under Tools. It allows you do not only set up SSL Certificates but also restart the PHP, alter the PHP engine and clear the cache. Another feature is a custom WordPress Plugin which automatically updates the cache when a new post is published. Nothing is more important than the security of your website. 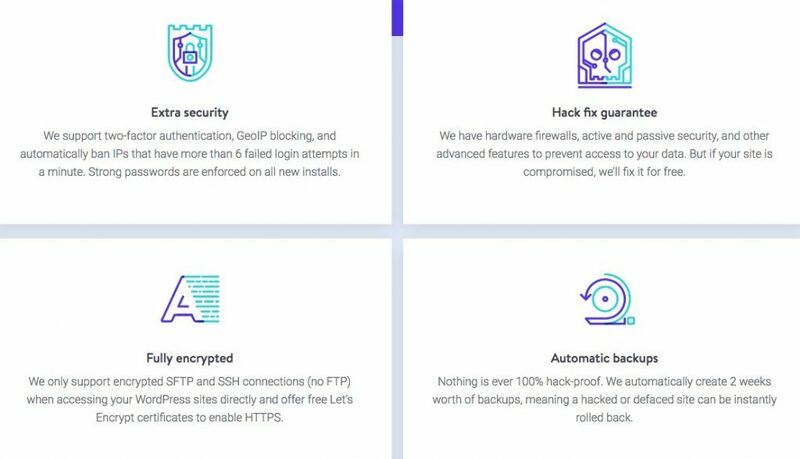 Kinsta offers secure WordPress hosting solution that implements passive and active measures to stop any attacks in its tracks. They scan your website every 60 seconds. Kinsta scans your website every 60 seconds, making it one of the most secure #WordPress #Hosting solutions on the market. They have extremely tight restrictions in place, able to detect when DDoS attacks happen and proactively stop any malicious code from entering their network. If your website is infected, their support team is probably already cleaning it up. Because Kinsta uses Google Cloud Platform, you also get even more reassurance. You get the benefit of a security model that has been built upon over the course of 15 years, and currently secures products and services like Gmail, Search, etc. Google currently employs more than 500 full-time security professionals. Kinsta also uses Linux containers (LXC), and LXD to orchestrate them, on top of Google Cloud Platform which enables them to completely isolate not just each account, but each separate WordPress site. This is a much more secure method than offered by other competitors. On top of that, they employ encryption at rest to store customer data. It’s impossible to have a review without talking about one of the most important factors when choosing your web host company; their support. Kinsta has a laser-focused support team which is another great advantage. Their support team focuses on one thing only…… that is to provide WordPress support, and as they are all WordPress developers, that’s exactly what you get. Something that stood out for me is that their team are dedicated to finding you a solution. They don’t simply guess or assume. The type of suggestions or solutions that I received were from very knowledgeable developers. In this screenshot, there is an icon to the bottom right corner. This is where you get your support from Kinsta. How cool is that? What I love about this ‘intercom chat’ is that you can click on any area of your dashboard and it doesn’t affect your chat. It also keeps your chat history so that you can review it again and again. The below screenshot shows me accessing my support chat that was 4 weeks ago. Be aware that they do not offer telephone support (their reasons for this can be found here: https://kinsta.com/knowledgebase/phone-support/.) This shouldn’t, however, put you off and they argue that support via chat is much more effective, allowing the issue to be resolved much quicker. I have to agree. Their response times are pretty dang fast! Kinsta’s chat support is also synced with your email, so any chat you have is automatically sent to your inbox. So if your site is hacked, they will fix it for you. Perhaps you have a plugin that is slowing your site down… They will fix that for you… And with an average support time of between 5 – 8 minutes, and available 24/7, that’s pretty impressive. Kinsta offers various plans suitable for everyone’s needs, so whether you are simply starting out, or are a larger or enterprise business, Kinsta has a plan for you. Most typical WordPress hosting charge you depending upon how much traffic (visitors) your website gets. With Kinsta, they charge you depending upon how much bandwidth you use. As a customer, there are significant advantages, and it can save you a lot of money. Bandwidth pricing can most definitely be more favorable and is something to consider when looking for a web hosting company, especially if you were to combine your website with a CDN (Content Delivery Network) or a proxy service such as CloudFlare. This could enable you to hold double the amount of visitors! Oh, I forgot to mention, Kinsta offers a 30-day – no questions asked money-back guarantee? That’s right. You can try Kinsta risk-free for 30 days. When moving your current WordPress site, this can cause an unnecessary headache, potential downtime, and other risks. You don’t need to worry about anything as Kinsta do it all for you which can all be monitored from your Kinsta dashboard. 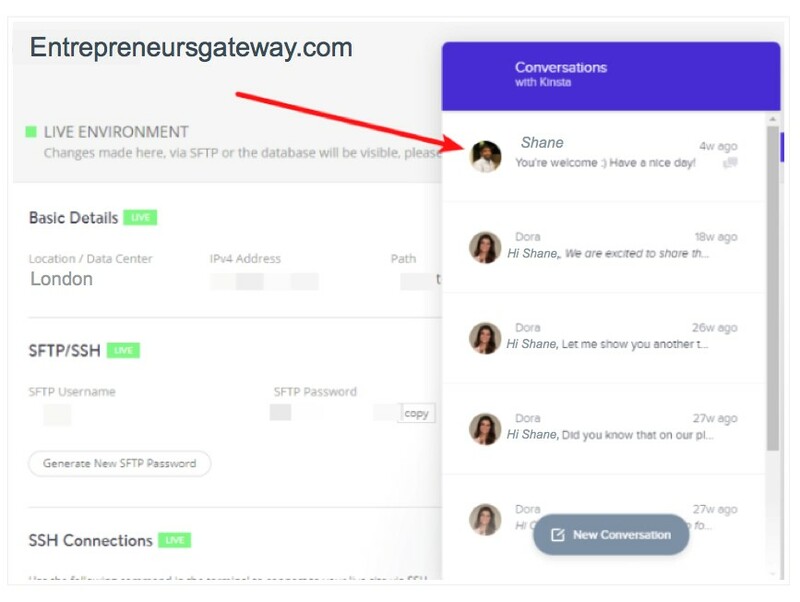 Simply sign up for a Kinsta account, and in your dashboard, you will find a migration form. 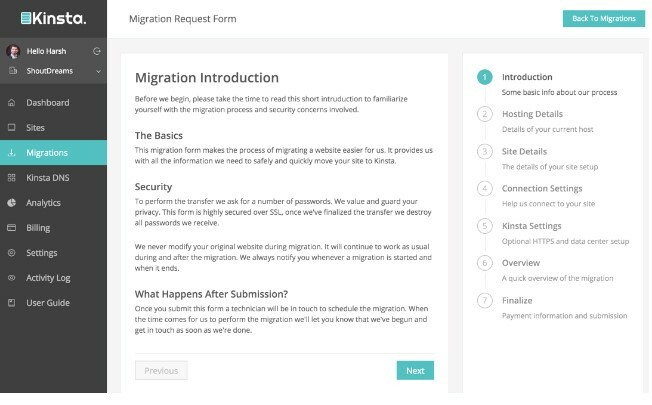 Simply fill that in, and the Kinsta migration team will contact you to schedule in an appropriate time to migrate your site. One of the many benefits of Kinsta migrating your site is that there will be zero downtime. Kinsta will also carry out a thorough test of your site before they make it live. This provides you with the reassurance that everything is working properly and there are no issues. 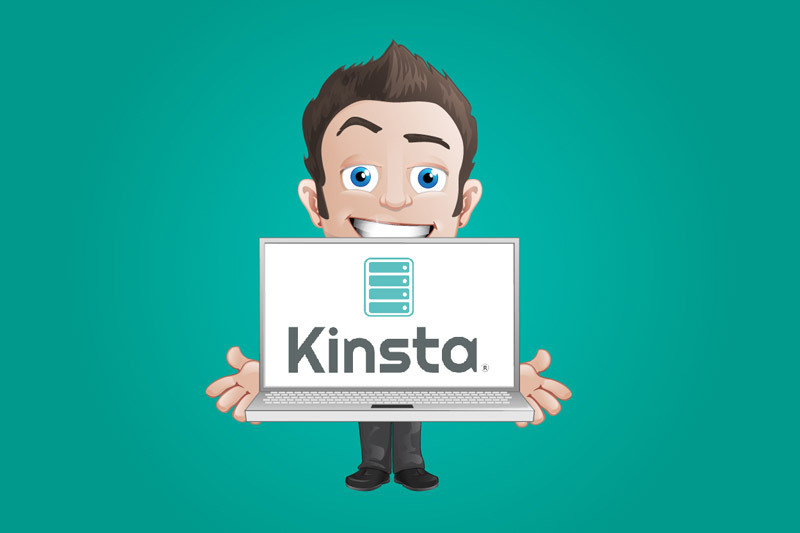 Kinsta offers an automated backup system and is backed up daily. Within the Kinsta Dashboard, you have the option to manually create a backup if you need to as well as restoring your site from a previous backup. It’s really that easy. Kinsta store up to 14 copies of your backups. 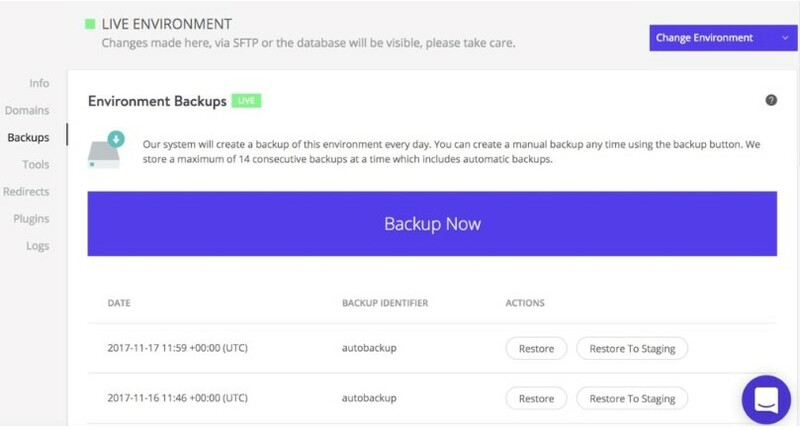 As Kinsta offers both automated daily backups and on-demand backups, you can do away with any 3rd party backup services you may currently use, such as UpdraftPlus or VaultPress. This, of course, can save you more money. This is a very common feature with WordPress hosts. This is basically a copy of your site that is stored on a separate domain. This enables you to make changes to your site and test them before going live. Whatever plan you decide with Kinsta, this feature is available to everyone. Once you are happy with your changes, you can simply push this site to your live one. Kinsta has already implemented caching so It’s ready to use and therefore makes running your site simple. If you’re looking for secure, fast and dedicated managed WordPress hosting at an affordable price, then I suggest that you stop what you’re doing (when you’ve finished reading this of course !!) and start using Kinsta Hosting. 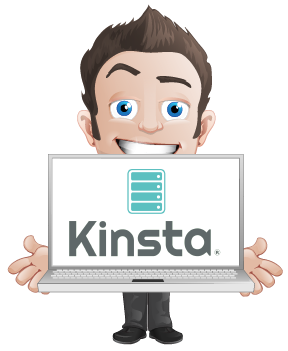 The team at Kinsta Hosting has more than earned their reputation for top-rated management hosting solutions. Managed hosting is great, but with Kinsta Hosting it is amazing. If you’re looking for the perfect WordPress host that is rock solid, then believe me when I say that Kinsta Hosting is for you.